Any business that wants to conduct sales transactions online will benefit from adding a customizable or professionally designed eCommerce solution. Through the integration of shopping cart software into an existing website, a business can operate a storefront 24 hours a day, seven days a week. Basically, you want to give your site a functionality similar to eBay or Amazon. Customers want to browse your products when it is convenient for them and then use a secure checkout feature to complete their transactions. There are many considerations a business owner should make before adding a shopping cart solution to an existing website. We like to think of them as the following: website design and development considerations, technology for completing financial transactions, and ways that your website integrates content from around the Web and interacts with third-party applications. While you could purchase off-the-shelf shopping cart software and begin completing sales transactions online, you might not get the flexibility you desire for the site. With expert web development services, get a customized look for your eCommerce function. We will make your online store look exactly how you want it to while keeping all design and content features consistent with your brand. We ensure that your shopping cart website is arranged for the consumer’s ease of use. We want users to easily find the categories and brands of products from your main storefront page. It is a pleasure to consult with you and determine the most appropriate way to process financial transactions on your business website. To meet your eCommerce goals, you need a secure system that provides customers with rapid checkout. On the back end, your website needs tools to protect each consumer’s name and financial information, such as credit card numbers and checking account routing numbers and account numbers. We also ensure that you integrate compelling content throughout your website and that all content is optimized for search engines. It really depends on what kind of products you are marketing whether you will need to include offsite content on the shopping cart website. In addition, we design the position of marketing copy for all products so that online visitors feel compelled to respond to clear calls to action. If your eCommerce website does not effectively market your product selection, it doesn’t matter how effective your ways of generating inbound traffic are. 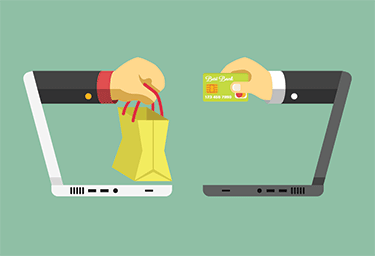 Ready for an Effective, Beautiful eCommerce Website? Don’t use a cookie cutter shopping cart solution for your business. The product you choose may not integrate effectively with your existing website or offer the tools you need to study inbound traffic and consumer behaviors. Let our web development experts design your customized shopping cart website to maximize the experience for all inbound visitors. Increase your conversion rate and augment your sales through a smart investment in a virtual storefront today. Impress customers with your sleek and professional eCommerce store and earn profits while you sleep! Contact us now for a free, no obligation quote. Which Content Management System is the best? Web 2.0…am I missing something?